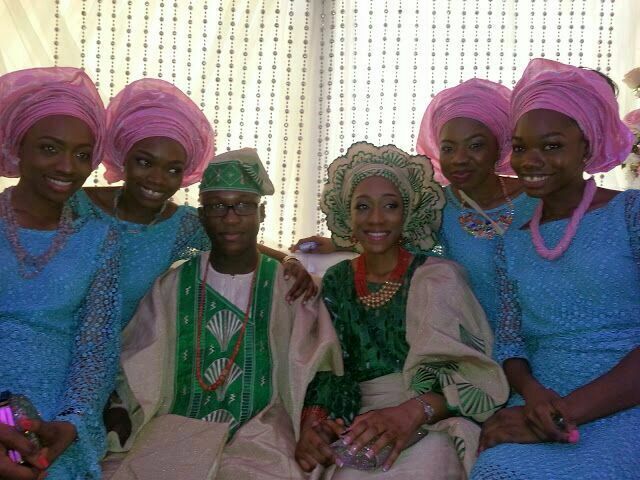 As with every Saturday in Lagos there was a wedding to attend on Saturday August 9. 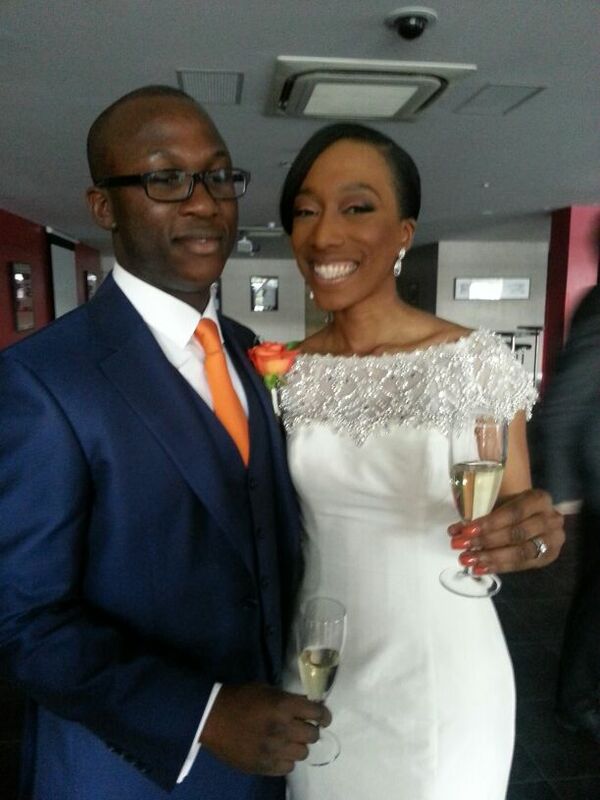 This Saturday was special though, it was Solape and Dipo’s wedding. I’ve known Solape since JS1 (year 7) and it just so happens that we also work on the same team in the office, so it goes without saying that we spend a lot of time together . 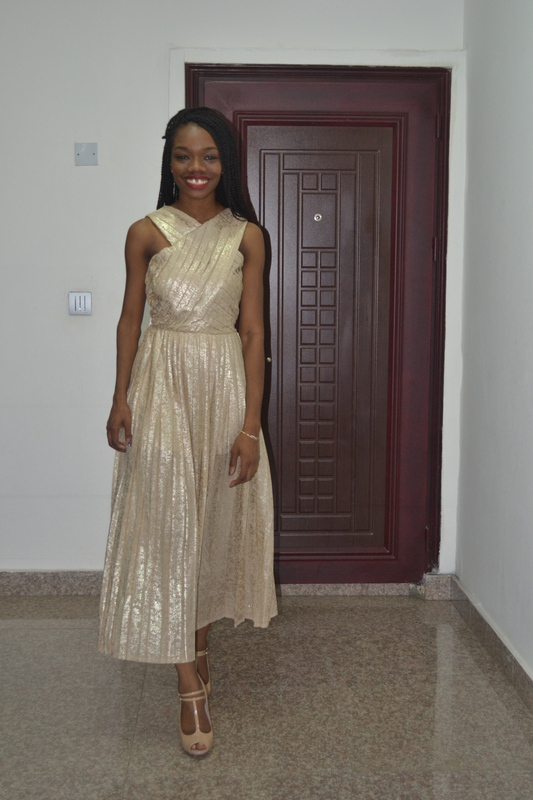 For the longest time, I couldn’t figure out what to wear and I wasn’t about to spend any more money on wedding season (Aso Ebi is so expensive)! 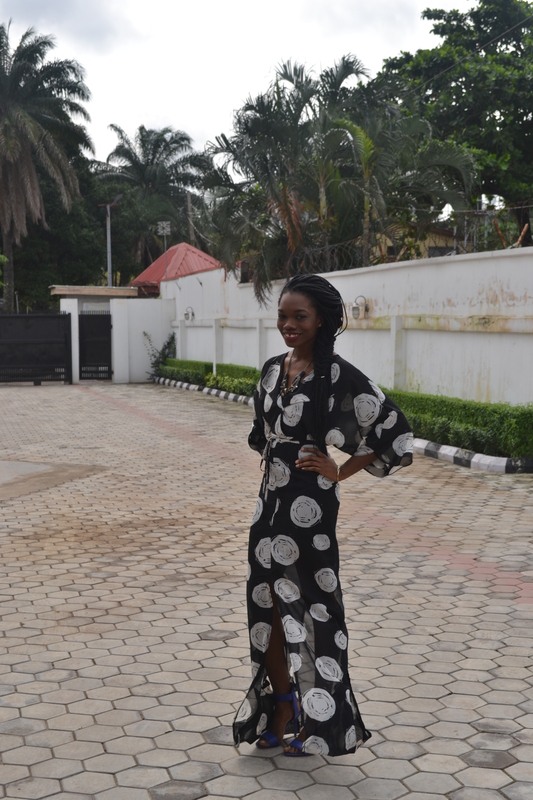 So I sifted through my wardrobe and was lucky enough to re-discover my ROF monochrome maxi from the 2012 “Re-Belle” Collection. I’d only worn it once and it was begging for another showcase. 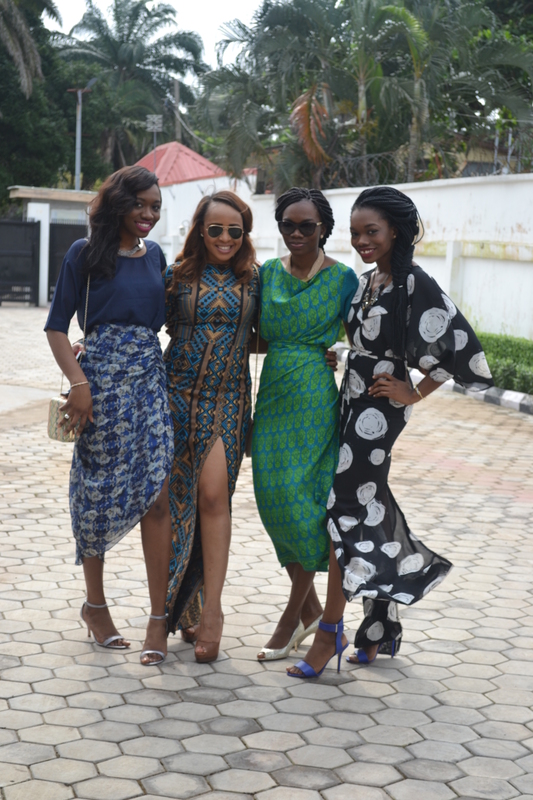 Below are pictures of Wura, Ilobe, Taiwo and I as we headed out to #SolaDipo2014, hope you like…. I love the Palm trees at the top of this picture. It makes you feel like you’re in an exotic country with perfect weather and beautiful views. 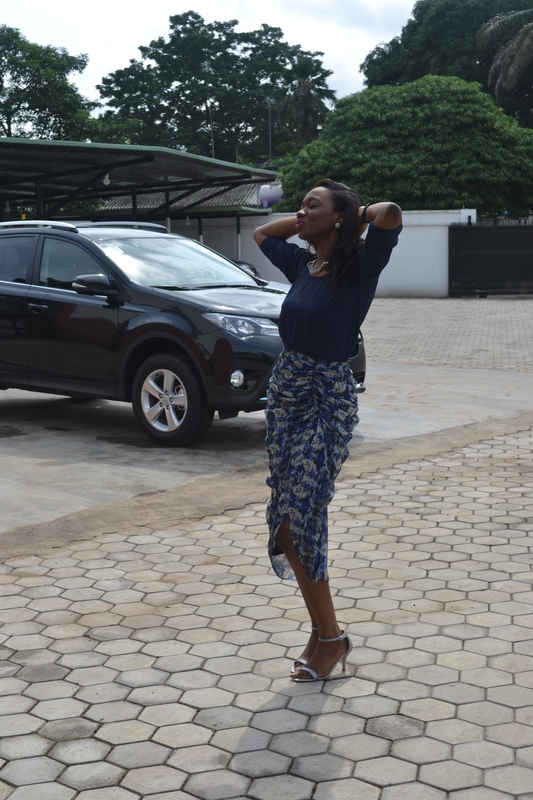 Wura in a Virgos Lounge skirt and locally made buba. I suspect she’s got MAC’s ‘Flat out Fabulous’ on. LOVE this pose! 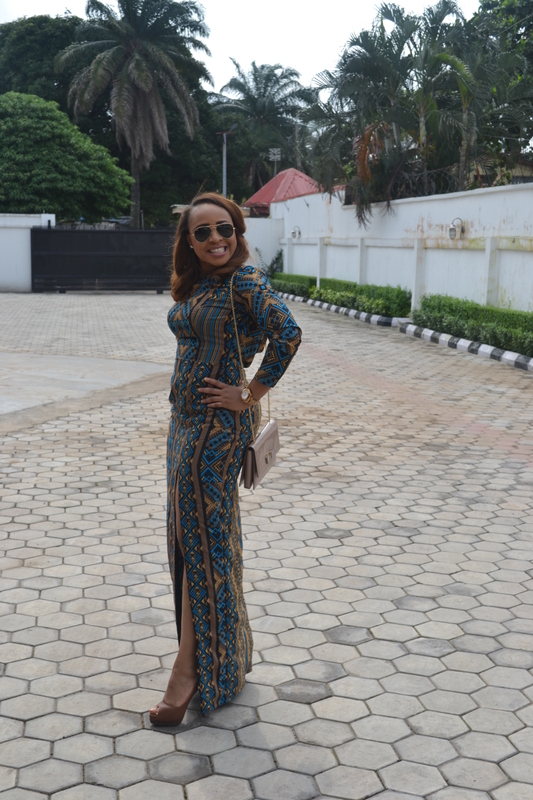 Ilobe in a draped back maxi dress, Salvatore Ferragamo bag and brown loubs!!!! 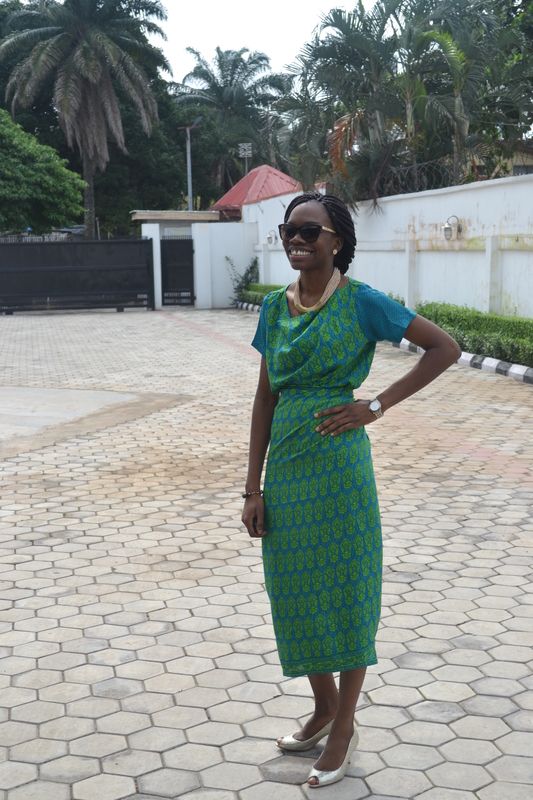 Taiwo’s Iro and draped neck Buba material was sourced from one of my Mum’s trips to India! 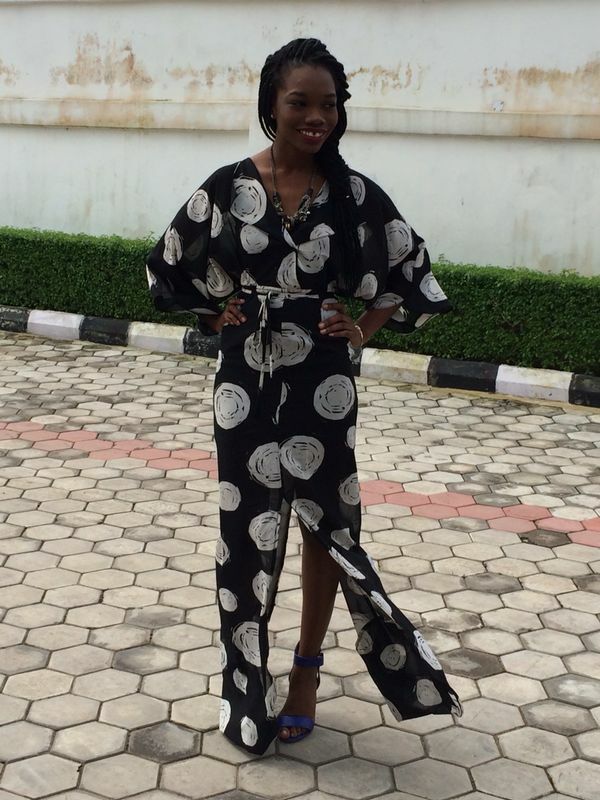 Her necklace was an Accessorize gift from one of my Besties, Bukky! Republic of Foreigner 2012 “Re-Belle” Collection. Blue KG shoes for a pop of colour and a complementary fishtail braid. Ps: I don’t have to explain the title “Best Foot Forward” do I? It’s kinda obvious…. 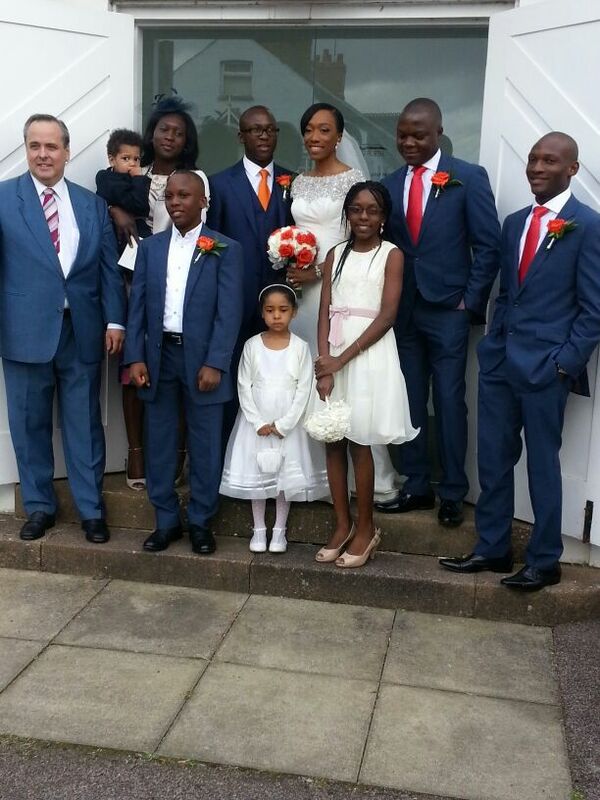 March 22 marked the beautiful Traditional ceremony of my Sister Olaitan and her husband, Dipo. 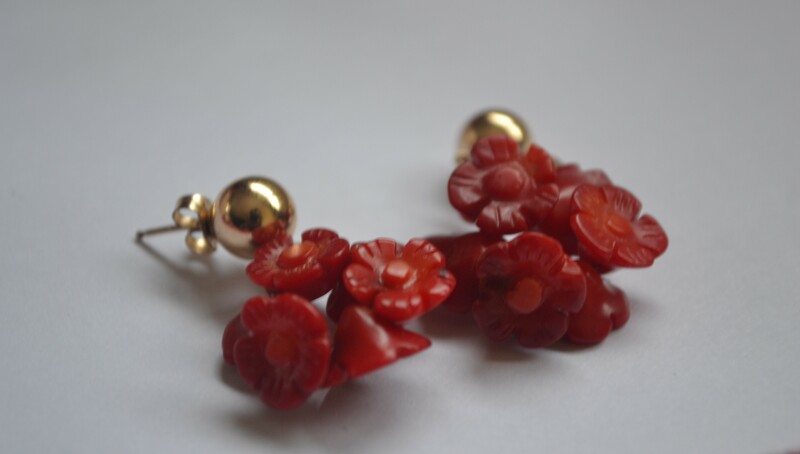 As expected, Toshade made pretty much all the jewellery and she did an amazing job! 1. Roses are Red: Using red corals of different sizes, shapes and textures, Toshade created a chunky and twisted ‘Mother of the Bride’ number finished with 24 carat gold toppings and swarovski crystals strategically placed to catch the sunshine of the outdoor event. 2. 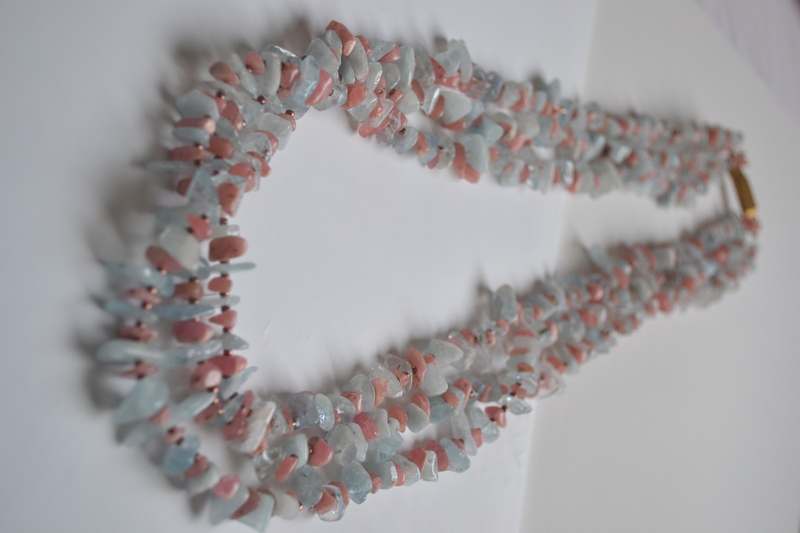 Forget Me Not: Just like the flower, these chipped beads are blue and pink with dainty, bronze beads separating each chip. Each string swings nonchalantly with the movement of the wearer in a contagious yet classy manner. 3. 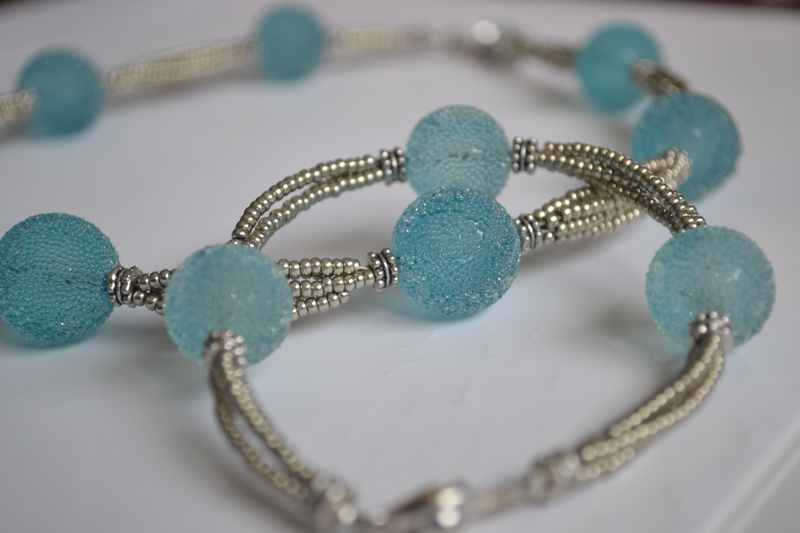 Baby Blue Eyes: These textured, sugar beads are separated by a trio of gunmetal grey seed beads locked in at each edge with matching spacer bars. 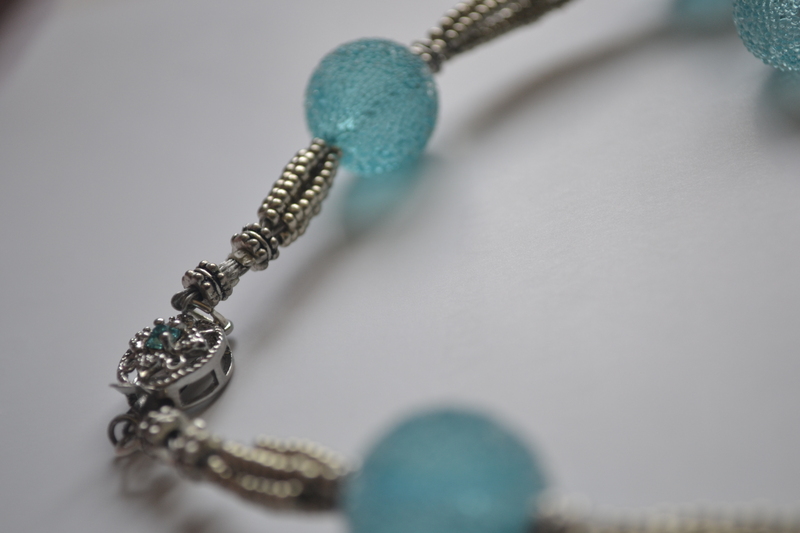 Simple, yet captivating the strings are finished with a turquoise and blue clasp. 4. Last and definitely not the least is my Pink Hibiscus: About 30 strands of seed beads strung in varying lengths and neatly twisted into a solid rope. 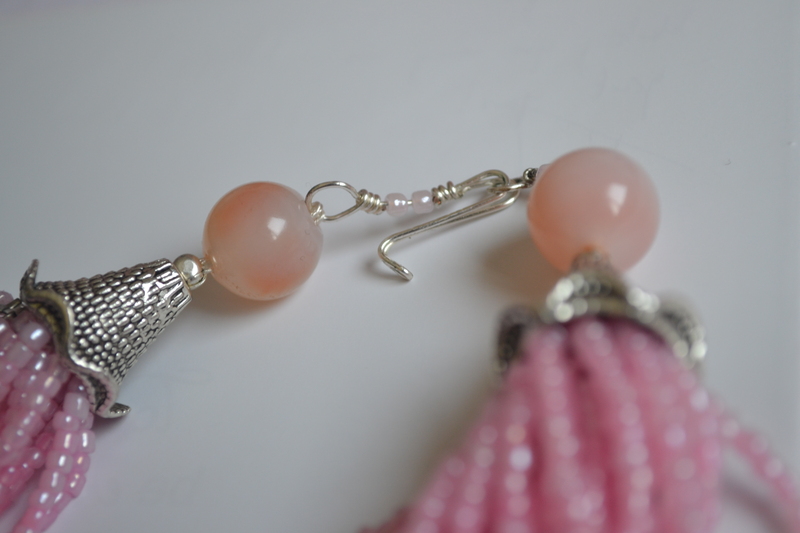 Pink Hibiscus was finished with silver cones, large pink beads and my favourite finish… a hand made hook. 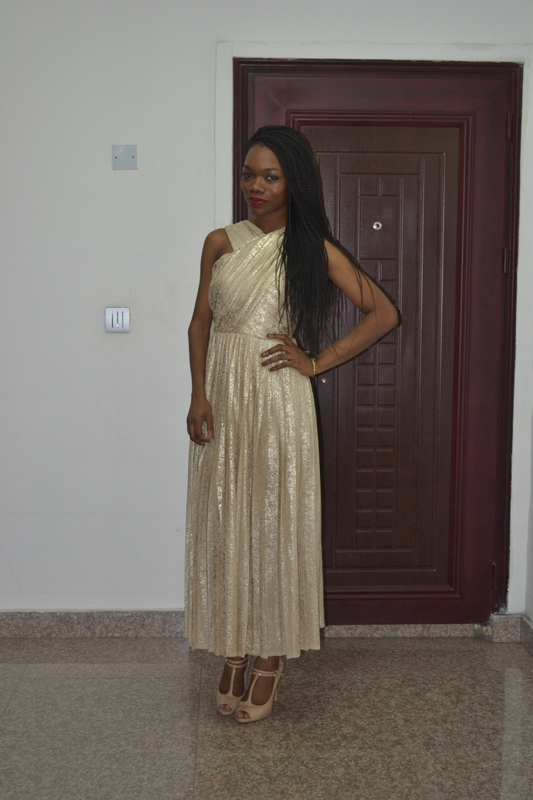 Below are pictures of the Garden inspired wedding collection. 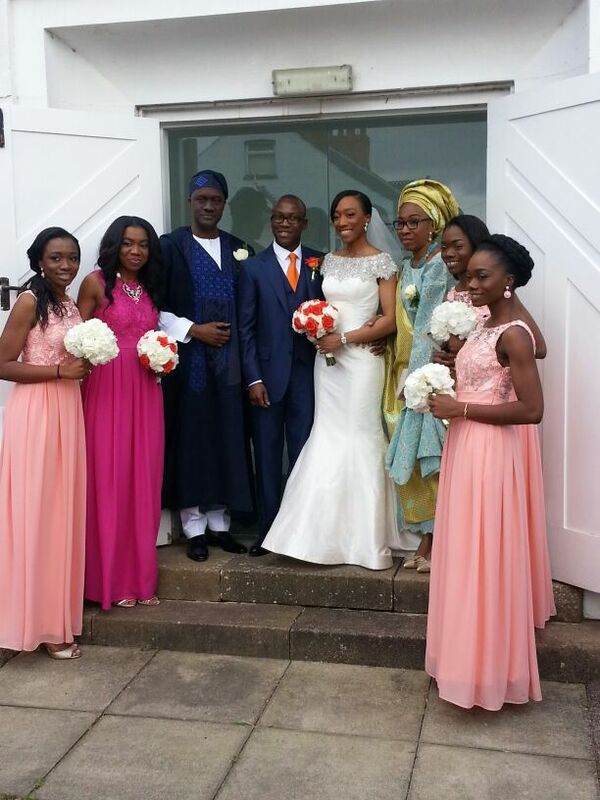 Just like the outdoor ceremony, it was quite the breath of fresh air. 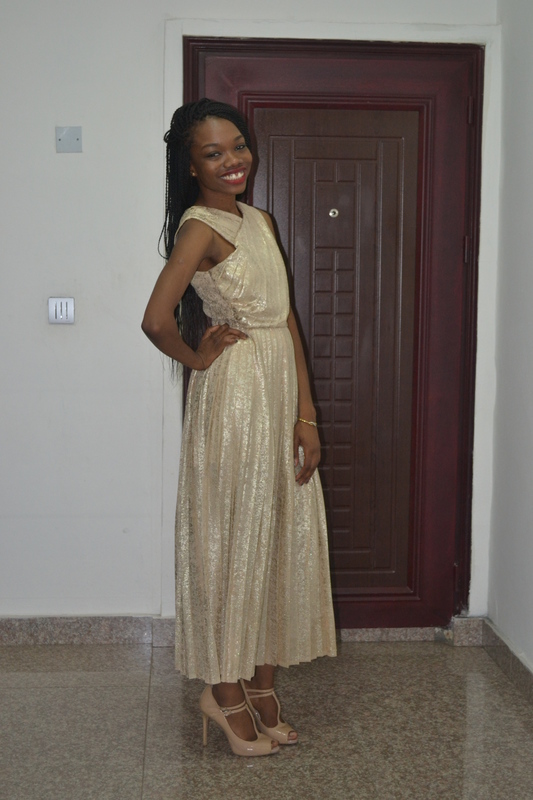 Hope you like…. For further enquiries on Toshade beads, contact me on KehindeFanimokun[at]yahoo.com or contact my Mum on: AbiFanimokun[at]gmail.com. 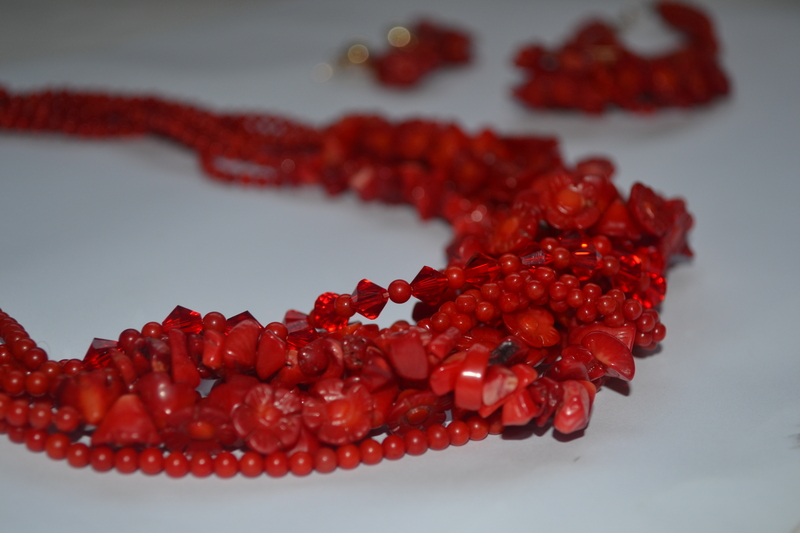 PPs: My Mum also made Olaitan’s beads but I have no pictures!!! 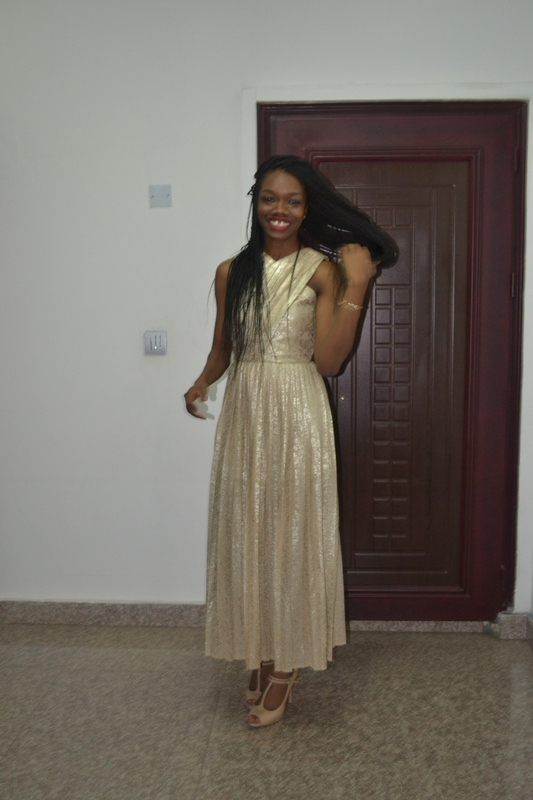 I should do a separate blog on it you know…. Can you say “Backlog”? Over the past couple of weeks, I’ve had a million and two things lined up one. after. the other. and so I have tons of blogs just itching to go out but not enough time to craft the posts to my standard and satisfaction. 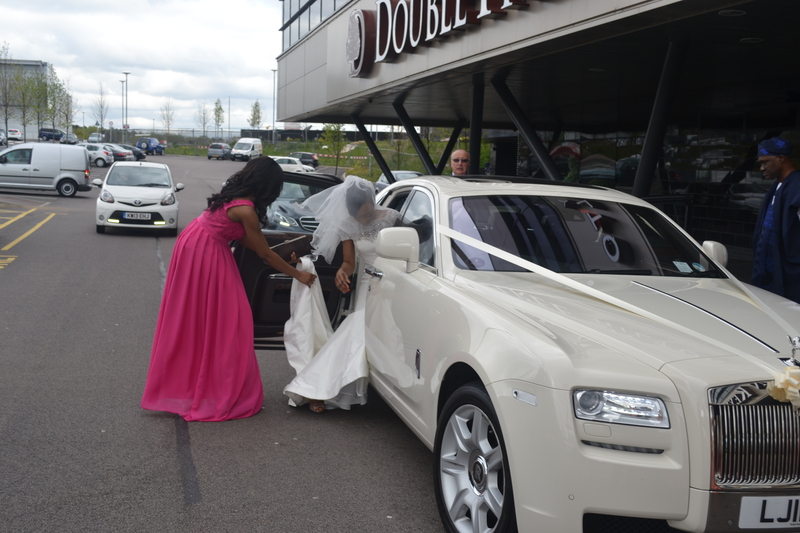 VENUE: As a true ‘MK Don’ the wedding was held at Double Tree by Hilton in Milton Keynes. We had it all from the delicious chocolate fountain which stole my undivided attention for a solid five minutes, to the photo booth which was accompanied by the most hilarious and befitting props! AMBIANCE: The Church ceremony was small and intimate accompanied by close friends and family members and the reception hall was perfectly decorated in true Fanimokun moderation. 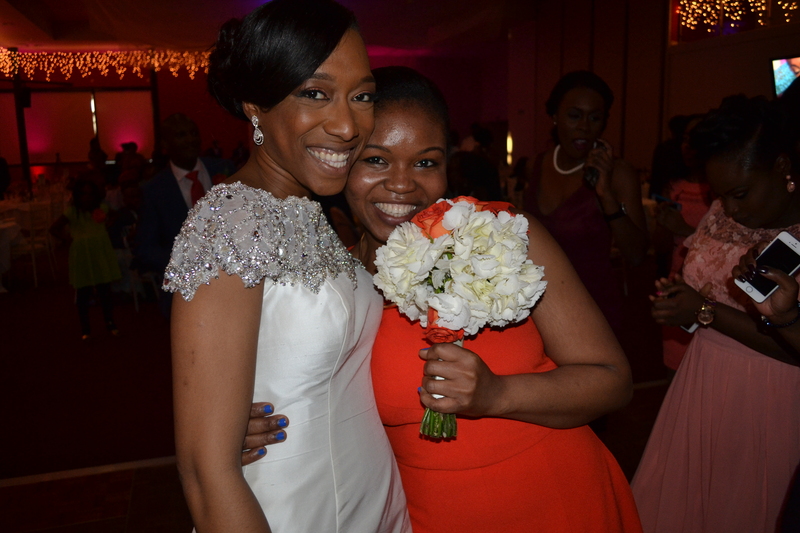 Olaitan is one of the most organised (and bougie) people I know and so the champagne reception accompanied by canapes and lemon meringue were no surprise and neither was the perfect seating plan. 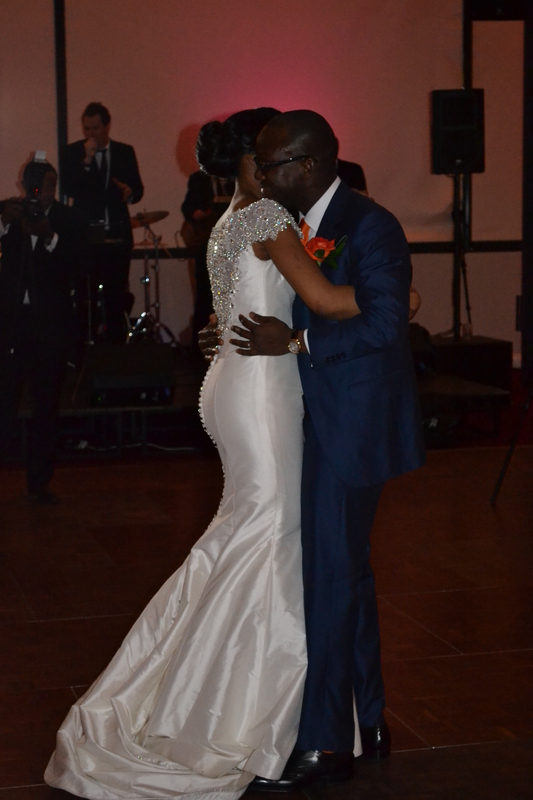 THE DRESS: Olaitan’s Justin Alexander 2014 dress was stunning. A silhouette mermaid silk dress detailed with crystal and satin buttons from the back neckline all the way to through the length of the chapel. 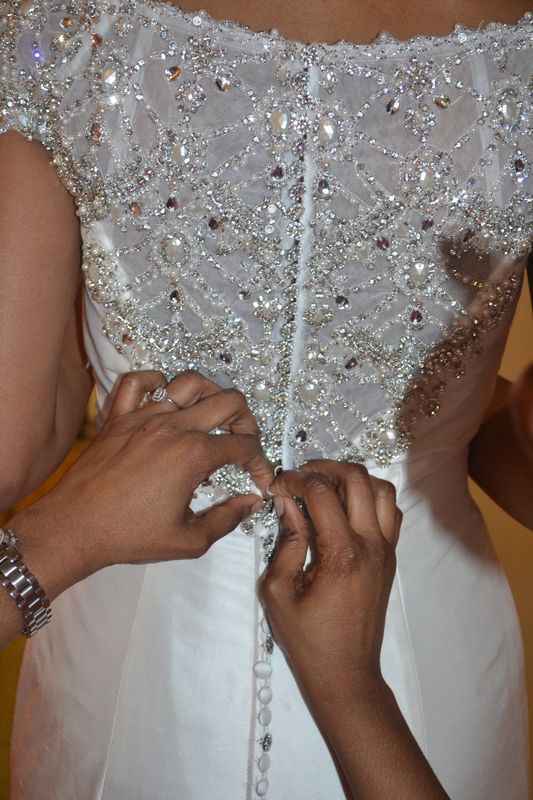 The top of the dress was heavily beaded and caught the light with all the sophistication of her classy wedding. THE SUIT: Dipo brought his A-Game! 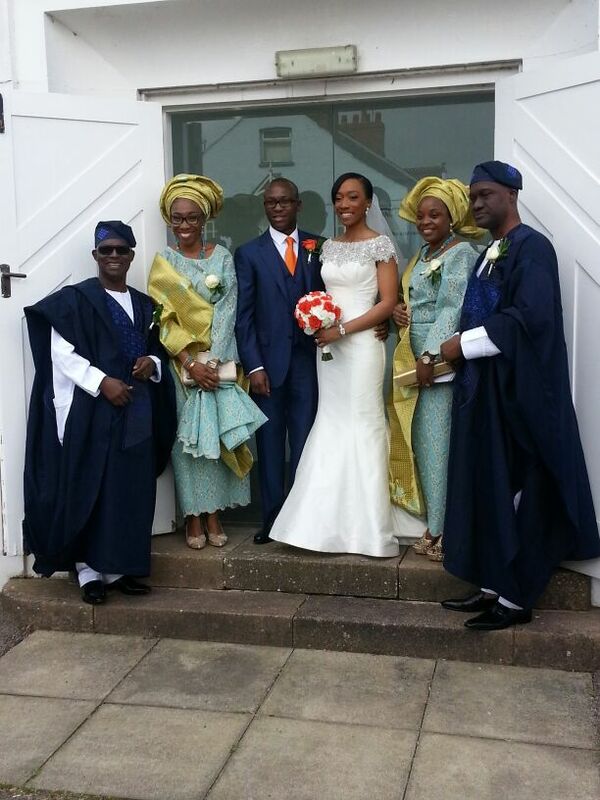 His navy blue satin finish 3-piece Canali suit was accentuated with an orange corsage and left no doubt that he was the groom. 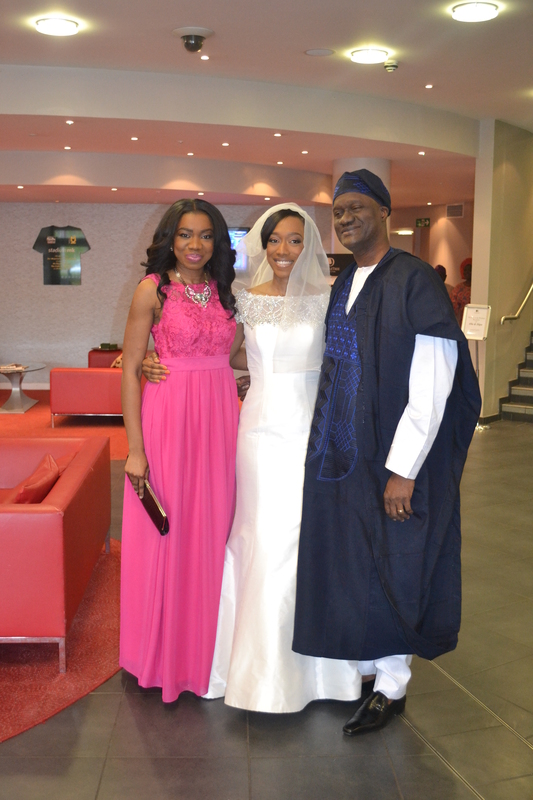 Ps: Who knew a wedding abroad could be more fun than a wedding in Lagos?